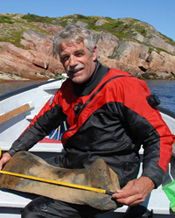 For more than 30 years, Dr. William Fitzhugh has been conducting fieldwork in remote regions in the Arctic, researching circumpolar archeology, environments, and northern cultures and people. His studies have taken him to northern Canada, Alaska, Siberia, Scandinavia, and Mongolia. Dr. Fitzhugh has been the Director of the Smithsonian Institute’s Arctic Studies Center since 1988 and the Smithsonian’s Arctic Anthropology Curator since 1970. Join us as Dr. Fitzhugh discusses his Arctic research to uncover the archaeology of the Inuit and European peoples who inhabited the Northwest Passage well before the Franklin expedition.